Note: To the 72 email subscribers who received an accidentally published WordPress post a few days ago with a very, very rough draft of this review, I apologize and hope that those of you who took the time to read it were thoroughly entertained by my unedited exclamations to myself. I’ve mentioned Tamora Pierce a few times already because of my great respect and love for her Tortall series. Since I began reading her novels in fourth grade, I haven’t met anyone who is quite as reverent as I am of her beautiful, no-nonsense prose and her incredible worldbuilding skills. Until now. Introducing Livia Blackburne: author of her incredible debut novel Midnight Thief, graduate of both Harvard and MIT, blogger of psychology and neuroscience, Taiwan-born, and most importantly, as awed by Tamora Pierce as I am. Ms. Blackburne also cites Graceling by Kristin Cashore and Daughter of Smoke and Bone by Laini Taylor as her favorite books. 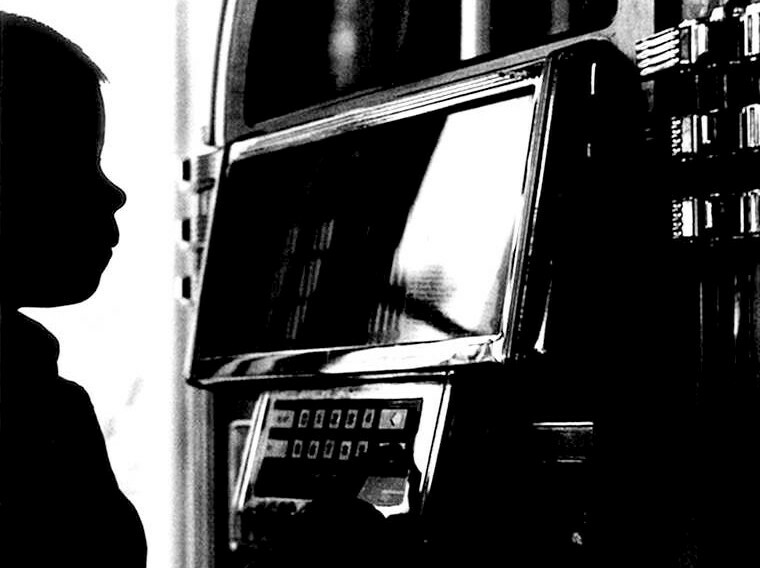 Basically, the Jukebox Muse can die happy now that she’s found her doppelgänger (except for the neuroscience part). There are several reasons why I am in such a tizzy over this book and why others should be too. I rarely encounter two strong main characters, a fleshed-out world, a true threat, and a surprising plot in one book. Yet Blackburne managed all of them, and from the semi-cliff-hanger ending, I predict at least two more books. Now that she’s put all that good foundation work in, the rest of her series is her playground. And if Amazon’s labeling of Midnight Thief as “Grades 7 and up” gives you doubts about its maturity, ignore it. Pierce’s books are also tagged as “Grades 7 and up,” and I just reread it last week. Blackburne sets up her world and her main characters so smoothly, I didn’t even notice it was happening. Unlike the infodumping issue I talked about in Samantha Shannon’s The Bone Season, Blackburne introduces her two main characters, Kyra and Tristam, by walking us through their daily routines. Kyra, a 17-year old talented thief, lives at the Drunken Dog Inn with her patchwork family of Bella, resident cook, and Flick, longtime friend and fellow former street rat. She steals because honest work is scarce and she needs money. And plus, she’s eerily good at climbing walls. But just because she’s a thief doesn’t mean we get to know Kyra by watching her steal things. We watch her interact lovingly with Bella and Flick. We follow her down the dirty streets as she visits Idalee and her sister Lettie, two street orphans who are living the same, unforgiving childhood that Kyra barely survived before Flick and Bella took her in. We understand through these experiences why Kyra’s identity is more than her thieving abilities. On the other side, Tristam is a 20-something knight working for the Master of Strategy. He has an unbending loyalty to the Palace, but dislikes the confining atmosphere of urban life and regularly volunteers for patrol so he can ride in the open forest that reminds him of his country estate. When strange Demon riders who train wildcats as their own children begin raiding farms and murdering innocents, including his close friend, Tristam immediately devotes all hours to finding the threat, to take revenge and to keep the city safe. Rather than giving us immediate satisfaction in the form of developing a character via intense battle sequences and dramatic dialogue, Blackburne gives us the day-in-the-life view of her characters. I’d rather discover with Kyra that the blood from her first kill doesn’t wash away in one night rather than watch her win an epic battle. Blackburne has let Kyra and Tristam sit in her mind for years, and her patience has paid off. Blackburne has not only created two smart characters who nevertheless ruthlessly question their own decisions and morals, but she has also described them with natural prose. Not beautiful, natural. We are routinely awestruck by beautiful prose that describes otherworldly and unattainable experiences and people. Natural prose makes us feel every little hope and disappointment that all of us experience daily. Mountains and valleys as opposed to bumps in the road. While beautiful prose can make us cry and sigh for a heartbreaking minute, I can tell you confidently that I will more likely come back to a world carved in natural prose, a world like Blackburne’s created, because it’s a world in which one can live and breathe and stay for a while. It’s a world that, once planted in readers’ minds, will grow by itself, filling in holes and edges, able to take the information presented in the book and extrapolate. Like the world, the main threat in Midnight Thief is layered. Though the Demon Riders that Tristam is hunting are a large antagonist, Tristam and Kyra are, for all intents and purposes, mortal enemies before they meet and decide to work together. Throw in James, head of the Assassin’s Guild (Blackburne also published a novella filling in James’s background that she says should be read after Midnight Thief), who convinces Kyra to break into the Palace but never tells her the reason behind her assignment, and Blackburne has a nice Jack-in-the-box of a plot to surprise us with its multiple outcomes. Midnight Thief is 384 pages. I learned from Tamora Pierce’s FAQ on her website that publishers used to limit YA novelists to 250 pages because they thought the teenage audience wouldn’t have the attention span to read more. The Golden Compass and Harry Potter pushed that limit up to 300, but it still takes a lot of convincing to get more pages. I wonder if that was the deal with Blackburne and Disney Hyperion. With the amount of time and depth that the plot covers, Blackburne could easily fill up 500 pages with more of Kyra and Tristam’s backgrounds. There’s some authors that need the 300 page limit because it forces them to cut all the unnecessary content. However, I didn’t want Midnight Thief to end after 384 pages, to the point where I put the book down after four chapters so I could savor what Blackburne did decide to include. Now that it’s finished, all I and others can do is wait eagerly for the next installment in the series. 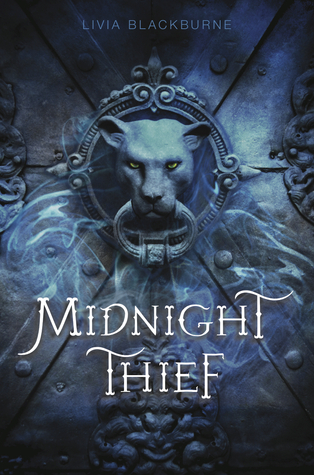 Blackburne said herself that Midnight Thief “is my homage to the medieval fantasies I grew up reading. Most notably, Tamora Pierce’s Song of the Lioness, which I’ve read and reread countless times. Unlike the Lioness Alanna, Kyra is a thief instead of a knight, and the challenges she faces are different. But I hope I’ve captured the same spirit, vulnerability, and courage that drew me to my favorite girl-power fantasies from my childhood.” Knowing Tamora Pierce’s literature as well as I do, I can congratulate Blackburne on the fact that I see a lot of Tamora Pierce in her writing choices. I also see a lot that is purely Blackburne, a gift that is backed by her education in some of the best fantasy literature out there.